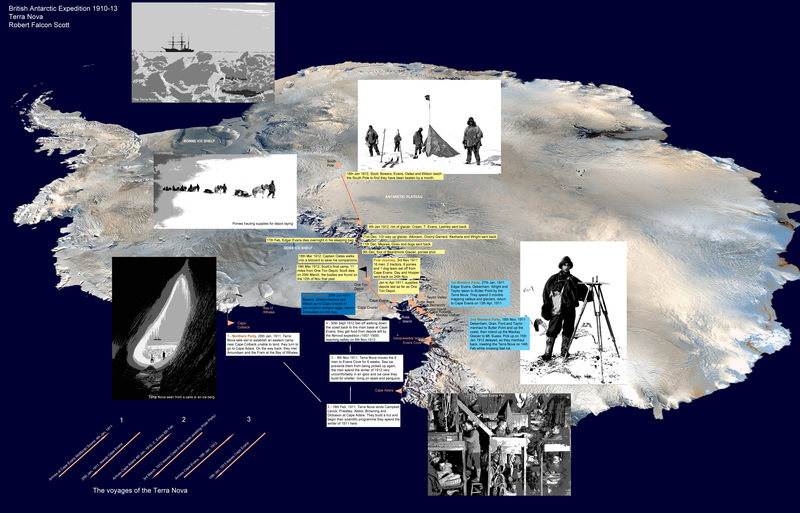 Scott's Journey: page 1 - preparations | page 2 - the polar journey | this page - time-line and info graphic | crew of the Terra Nova | why did Scott die? 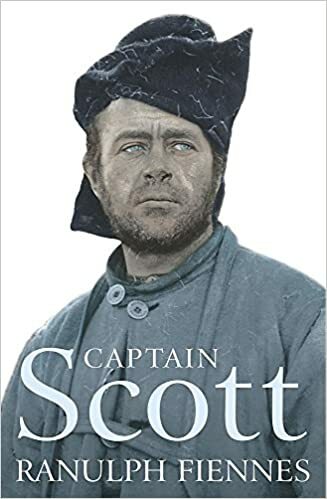 | what did Scott's team die of? 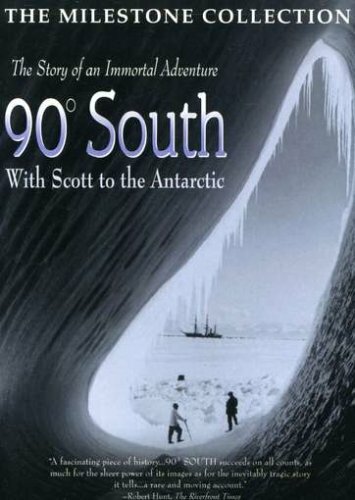 Scott and the South Pole Party (yellow boxes) - The main reason for Scott's expedition was to be the first to reach the South Pole, he had tried to do this previously in 1902/3 when he came to within 480 miles of the Pole with Ernest Shackleton and Edward Wilson. 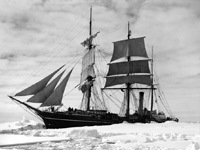 Shackleton in a separate expedition came within 97 miles of the Pole in 1909. The Pole was still there for the taking. The Northern Party (white boxes) - North is towards the bottom of the map above, the pole and therefore south is in the middle of the map. Led by Victor Campbell they wintered as planned in a hut at Cape Adare in 1911, the Terra Nova met them in January 1912 and moved them to another location where they were to spend 6 weeks before being picked up again. 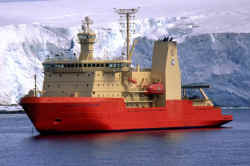 The Terra Nova could not get through thick pack ice however and they were forced to spend a second winter in very difficult conditions in a snow cave they excavated before walking back to base as spring arrived. The Western Party - (blue boxes) - 2 journeys, the first of 3 months made by 4 men in early 1911 to the Dry Valleys and surrounding area. The second also of 4 men set off in Nov 1911 to investigate the glaciers and strike inland, the Terra Nova is unable to pick them up in January as planned so they start walking back, being met part-way by the ship a month later. Arrival at Cape Evans, McMurdo Sound, Antarctica. Ship unloaded and hut built on Ross Island. Terra Nova takes 1st Western Party led by Debenham to Butter Point to map valleys and glaciers including the "Dry Valleys"
Rations are short, tea served on Sundays was reboiled on Mondays and smoked as tobacco on Tuesdays, the winter is very difficult.